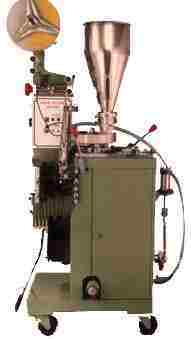 For granules / Tablets/Powders and liquids : The machine is same as Automatic Form - Fill & Seal Machine(s.no. 2 ). but adapted to pack both liquids and dry powders / tablets etc. alternately.